Yahoo is buying "the definitive leader in personal publishing tools and web-based communities", and the purchase "combines two of the largest and most popular services on the Internet." The service enables "non-technical users to instantly create, publish and update content on the Web." Tumblr? Nope. Geocities! The web publishing platform Geocities was one of very many Yahoo purchases, and it wasn't a very successful one: Yahoo paid $4.6 billion for it back in 1999 when $3.6 billion was a lot of money, and then couldn't find an effective way of making money from advertising on it. Users wandered off to competing platforms - to blogs, and to social networks - and Yahoo finally locked the doors in 2009. Will history repeat with Tumblr? I'm not so sure. Yahoo is focusing heavily on the things people do every day, and younger people are more likely to be visiting a Tumblr dashboard than a web-based email service. If Yahoo takes a long view and doesn't go in with all guns blazing - whether that's cracking down on copyright or plastering ads on every second pixel - this one might just work. If you look at Yahoo's recent purchases, a pattern begins to emerge: Stamped, Alike and Jybe are based around personalised recommendations and discovery on mobile devices. Loki Studios does mobile gaming. Summly summarises news for people in a hurry. Astrid syncs to-do lists between desktop, mobile and web. Milewise is a personalised travel app... Yahoo's looking at the mobile future and positioning itself accordingly. 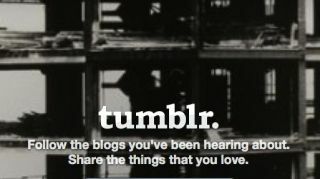 Tumblr would provide the social network component that Yahoo's lacked since the ill-fated Yahoo 360. It's entirely possible that Yahoo will do a Geocities or a Flickr, buying Tumblr, doing sod-all and letting it wither, but I don't think that's likely. The Yahoo that paid too much for Geocities and neglected Flickr for years isn't the same Yahoo we have today. Marissa Mayer has made Yahoo sharper and more focused than it's been in years - and if the Tumblr acquisition works out, she might just achieve the impossible and make Yahoo cool again.